On the day that Des van Rooyen’s legal team were bringing a high court application to interdict a Public Protector report because it could damage his reputation, opposition MPs showed exactly how they perceived Van Rooyen’s reputation: A two-minute noodle, the Guptas’ most loyal servant and intellectually unsettled. 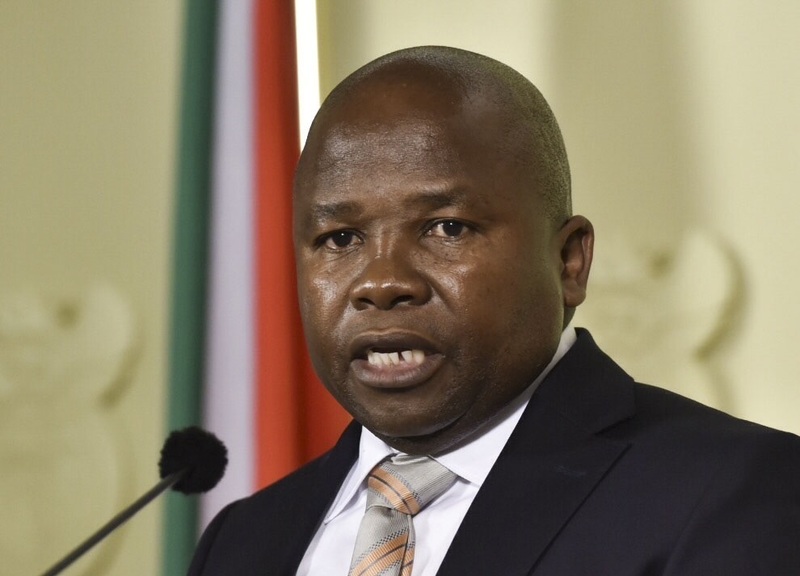 The National Assembly’s discussion of the portfolio committee of cooperative governance and traditional affairs’ report on the department’s budget turned into a “roast” of Van Rooyen, who is minister of cooperative governance and traditional affairs. Van Rooyen was minister of finance for four days in December after President Jacob Zuma controversially fired Nhlanhla Nene. Under pressure from within and outside the ANC as the rand went into free-fall, Zuma swapped Van Rooyen and Pravin Gordhan’s portfolios. DA member of Parliament Kevin Mileham pointed out that the department’s audit opinion had deteriorated. “What has changed since last year? For starters, we have a new minister, if you can call a two-minute noodle a minister, a minister who has been so spectacularly unimpressive...” he said. Presiding officer Thoko Didiza stopped him, and asked whether he had really called Van Rooyen a two-minute noodle. “Yes, chair, I called the minister a two-minute noodle,” Mileham replied. ANC MP Hope Malgas rose to protest about the “disrespectful term”. Didiza said she would make a finding later. “Chair, I happen to quite like two-minute noodles,” quipped Mileham before proceeding. He was referring to the Gupta family, who are friends with President Jacob Zuma, and who have been accused of trying to capture the state by offering Cabinet positions to certain people. Economic Freedom Fighters MP Thembinkosi Rawula took over from Mileham, saying that Van Rooyen was “fully trusted by the Zumas and Guptas to deliver the country on a silver platter to the corrupt mafia”. Again Malgas raised a point of order, because Rawula had not said “honourable Zuma”. EFF chief whip Floyd Shivambu said people could not refer to Duduzane Zuma, President Zuma’s son, as honourable. Didiza asked if Rawula was referring to President Zuma or to Zumas in general. “I’m referring to the group of Zumas,” he replied. “Mr Van Rooyen was going to be used by this corrupt mafia to capture the treasury. When he failed he was transferred to [the cooperative governance department] to continue the looting of state resources for that family,” continued Rawula. United Democratic Movement MP Mncedisi Filtane, said Van Rooyen “appears to be so unsettled emotionally and intellectually ... typical of a captured person,” he said, before Didiza asked him to retract it, which he did. Van Rooyen was not present at the sitting.